IF YOU LOVE THE BLUES, THIS IS THE PLACE FOR YOUS! 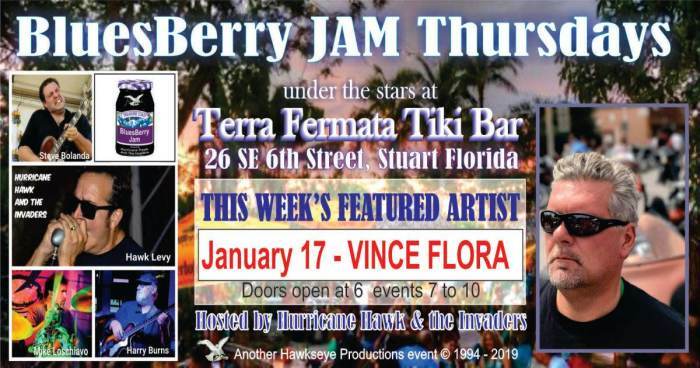 This Jam is hosted by HURRICANE HAWK LEVY and THE INVADERS, and all-star band of local blues favorites, with special guest VINCE FLORA this week. Professional BLUES MUSCIANS are always welcomed to sit in a few songs or a set, space available. Get here early to sign up.